The Kidblog Team is always working to add even more features to the world’s best student publishing platform. We’ve highlighted some of the new benefits for students, teachers, and administrators – Happy Blogging! 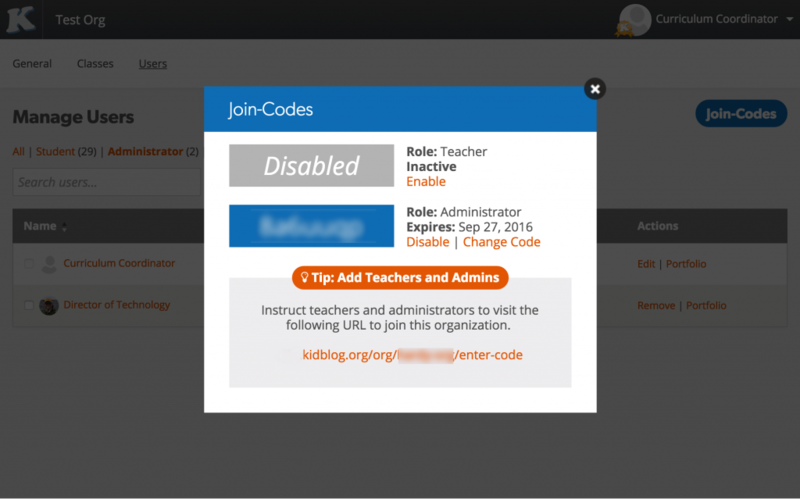 In addition to our seamless Google integration, Kidblog now offers Clever Instant Login for students and teachers. 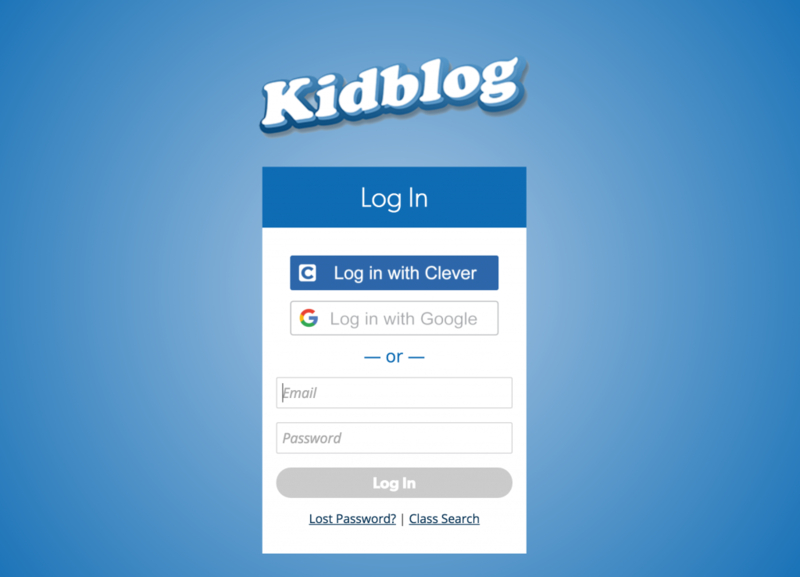 Clever is the leading SIS integration platform, allowing your students to use a single login for all of their web-based services, including Kidblog. 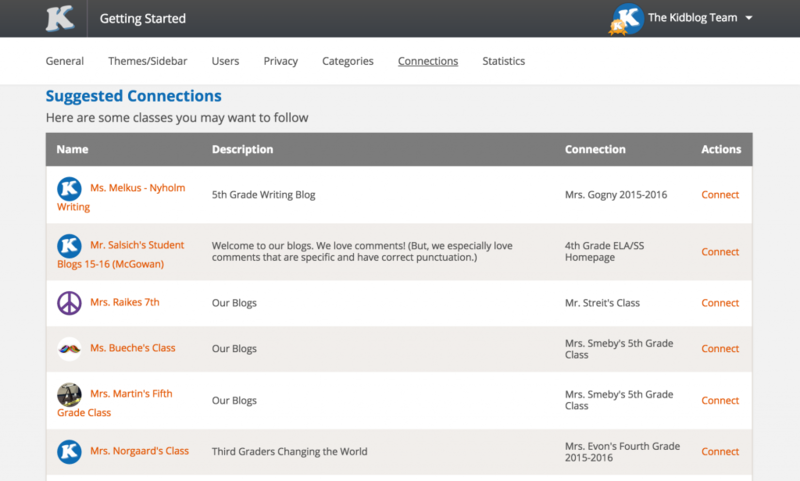 If your school or district already uses Clever, just request a connection to Kidblog and your students will have immediate access. Kidblog gives teachers, parents, administrators, and students portfolios that work. 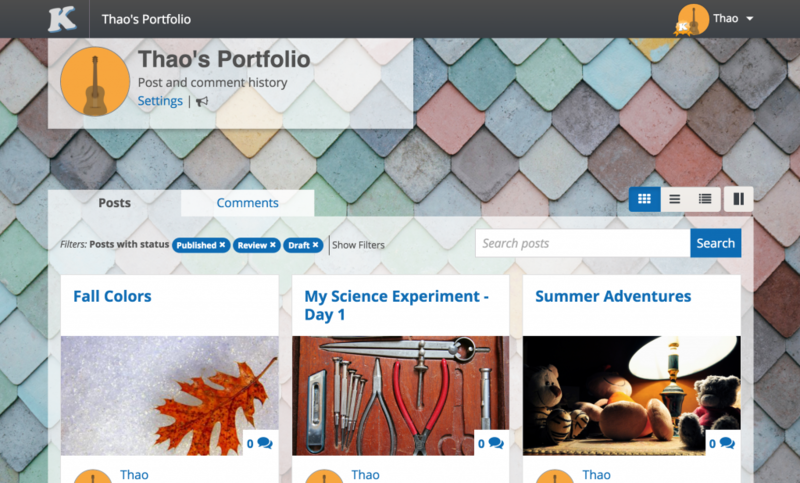 As students publish within a class, we dynamically curate a student’s portfolio with posts from various contexts – across classes, teachers, and school years. There’s no manual compilation of content required by the student. Portfolios are driven by our unique privacy engine, ensuring visitors only see the posts they have permission to view, while offering students a real audience for their publishing efforts. Share your Kidblog class with readers inside and outside of the classroom. At the top of the page, you can choose to share your class URL via QR Code, Twitter, Email, or an RSS feed. This is a great way for teachers and parents to get the word out about students’ posts and discussions. Finding and connecting with classes just got easier. Our new Suggested Connections feature highlights classes to follow, based on the classes you already follow. So after connecting to another class initially, you’ll see other classes appear as suggestions. 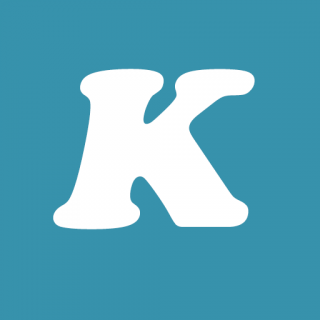 It’s a great way to expand your network of fellow Kidblog teachers and student authors. 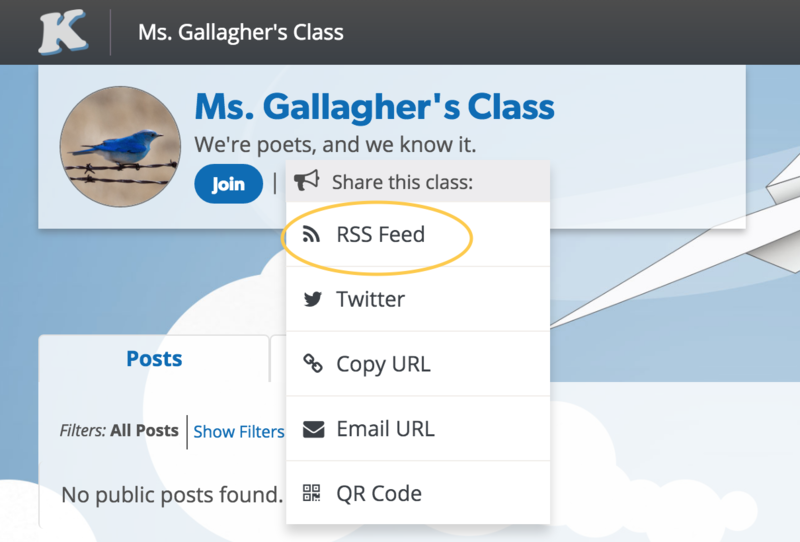 When teaching multiple sections, teachers often want keep class rosters separate, but “follow” each other so all students have access to posts published for Connections. In the past, teachers had to navigate to each class URL and follow their classes one at a time. 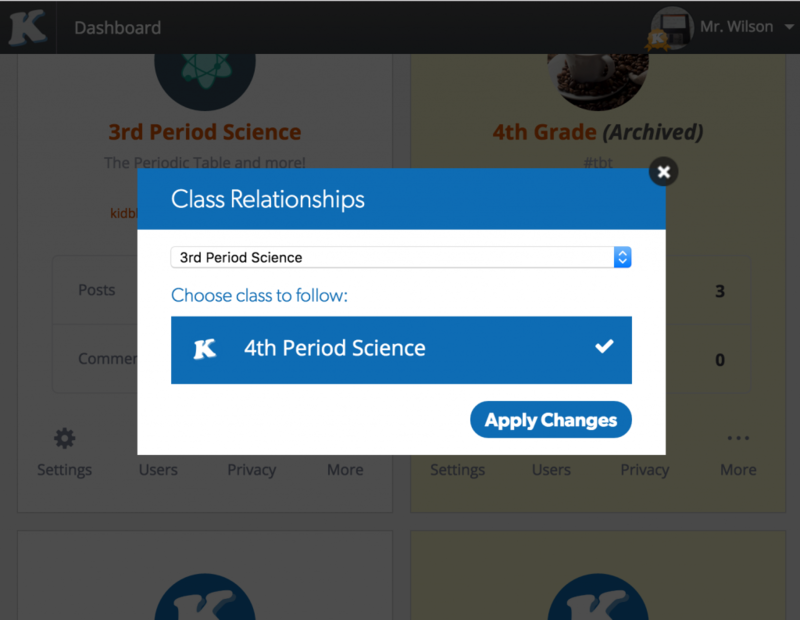 The “Class Relationships” option (under the “… More” button) at your Dashboard allows teachers to easily interconnect their own classes from a single spot on the Dashboard. Admin Pro members who manage their school/district can now easily invite other administrators to the organization and delegate management tasks. This allows multiple district staff members to provide support for students and teachers. For students in an Admin Pro organization, we’ve created easier ways to find classes and log in – particularly useful during a transition to a new school year. We also now offer the ability to set a custom term for your Admin Pro membership to align with your budget cycle or academic year. Email membership@kidblog.org for more information about these aspects and more! Kidblog is designed to be easy to use, but also visually compelling for readers. 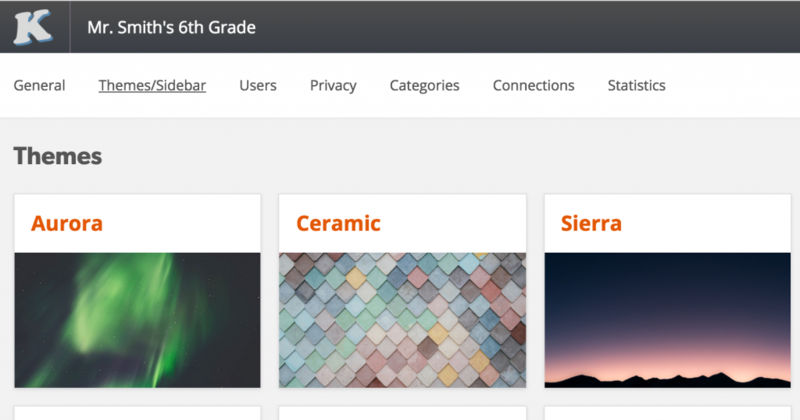 We’ve added new class themes and additional post style options so teachers and students can create their own “branding” and attitude for their published posts and portfolios. 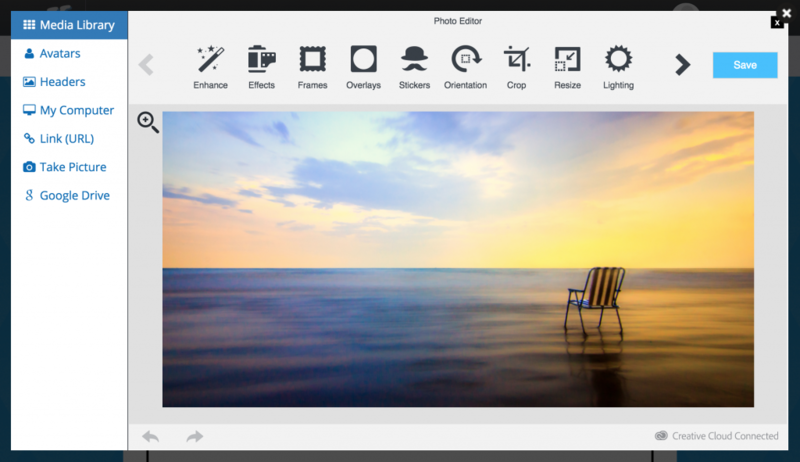 Kidblog’s powerful file uploads and image editing tools have received a host of reliability improvements and bug fixes. Kidblog authors who use images, audio, and video in their posts receive more attention than text-only entries. Our library of creative-commons-licensed headers makes it easy to add vibrancy to your post. 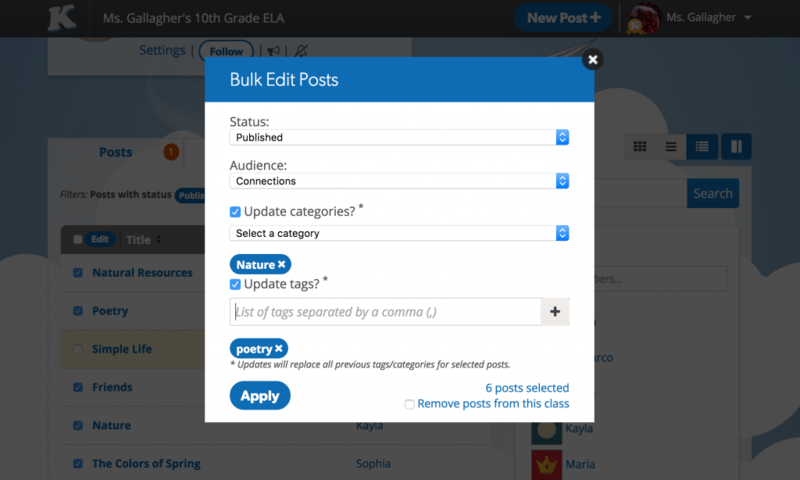 Because students become such prolific authors at Kidblog, it’s essential that teachers have moderation tools that make post and comment management efficient. The “bulk” editor now provides more options for managing post attributes like categories and tags. The Statistics page is a great way for teachers to view publishing and commenting activity over time. 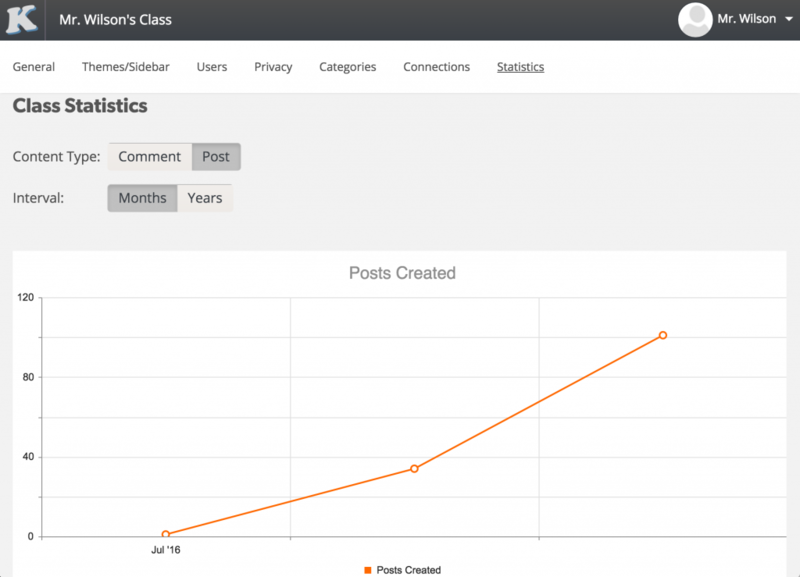 The graph can be displayed for posts or comments, grouped by month or year. Kidblog makes it easy to share students’ post with a real audience. And when readers interact with an author by leaving a comment, you can now discover if they are part of another Kidblog class. Simply click the comment author’s name, and the new dropdown list helps find the source, promoting even more interaction through the Kidblog network. Back-to-school season is an exciting and busy time. Last year we had so much student publishing activity, things slowed down for some users. We listened to your feedback and significantly upgraded our infrastructure, providing better performance and reliability. 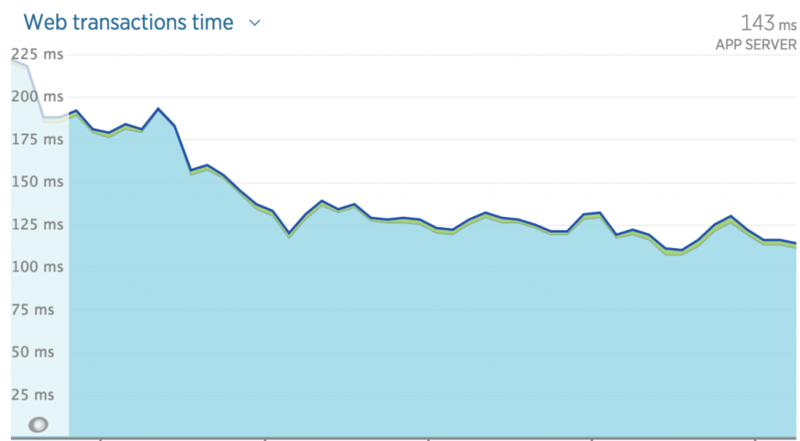 Requests now load more than 30% faster on average. We are honored to be a part of your students learning journey. Email support@kidblog.org with any questions about getting the most out of Kidblog this school year.